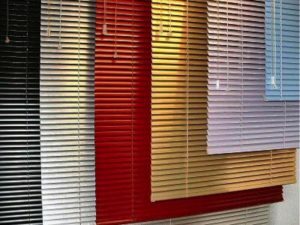 Available with the same functionality of the Aluminum Blinds but at a cheaper rate, our Vinyl Blinds are perfect as low-profile yet glamorous window covering. Their low price also makes it easy to repair or replace them when required. Vinylux blinds are a simple horizontal blind utilizing 2″ extruded PVC slats. Ideal for matching or accenting our vertical blind program, Vinylux blinds are part of your total room solution.